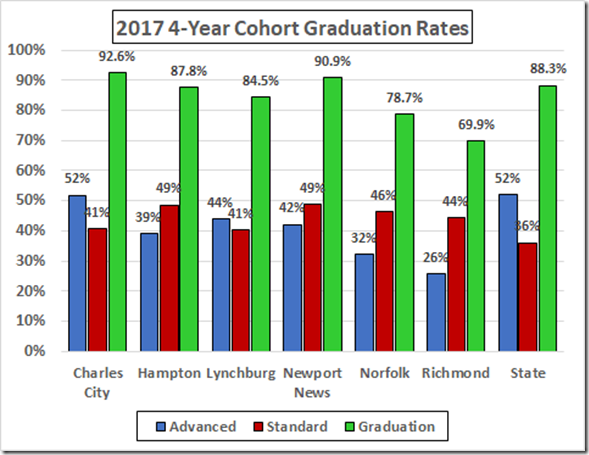 in addition to the standard and advanced diplomas. 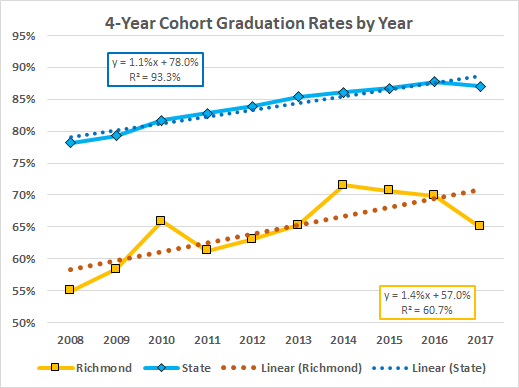 This gives a nice boost to the official “graduation rate,” especially for those divisions willing to misclassify students as handicapped in order to boost their SOL pass rates. 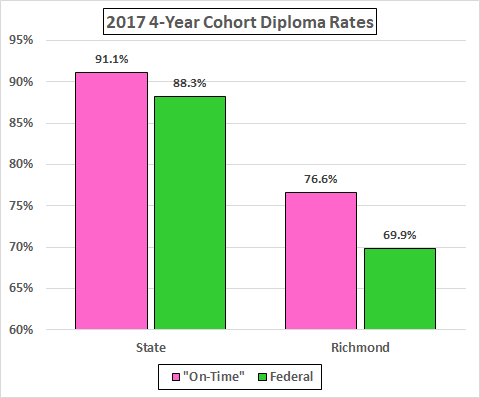 On the 2017 4-year cohort data, the “on-time” fiction boosted the statewide rate by 2.8% and the Richmond rate by 6.7% compared to the federal (advanced plus standard diploma) rate. The boosts this year look to have mostly come from the special diplomas. The process is hidden from the public. 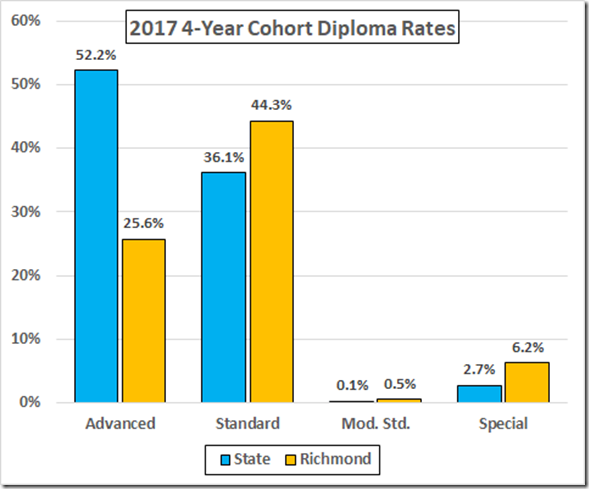 This explains the low Modified Standard rates this year. 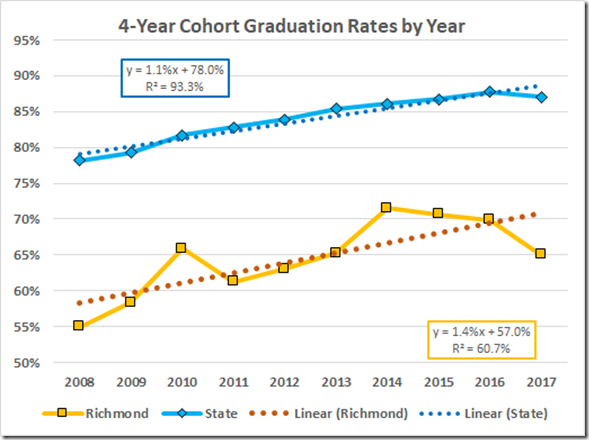 Last year, those rates were 1.4% for the state and 5.6% for Richmond; this year, 0.1% and 0.5%. 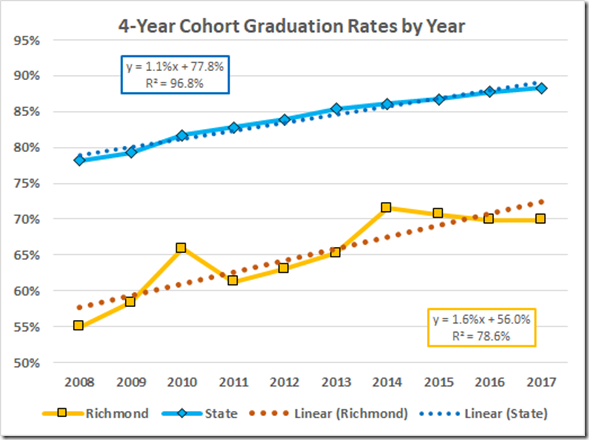 Looks like this year they successfully concealed about a 5% boost in the Richmond rate. 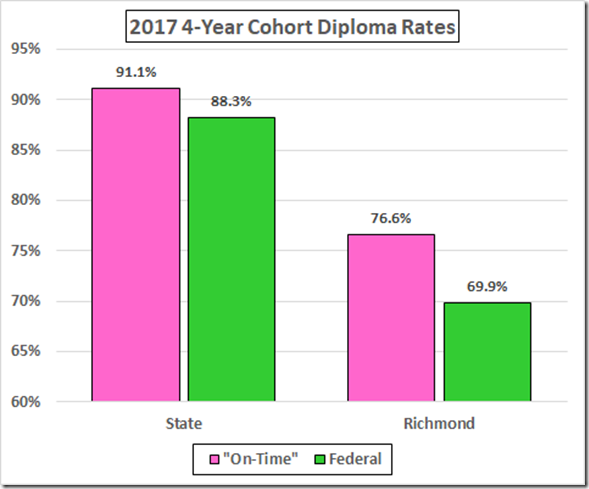 The only question here is whey they did not similarly transform the “special” diplomas into standard diplomas so they could conceal the whole, sordid process. would look more like a slump (and the state wouldn’t look so hot either).